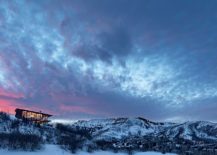 With the Holiday Season here, many of us have plans beyond just a lovely feast, shopping and spending time at home with our loved ones. 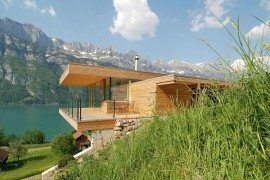 This is the time when holidaying in the mountains is truly magical! 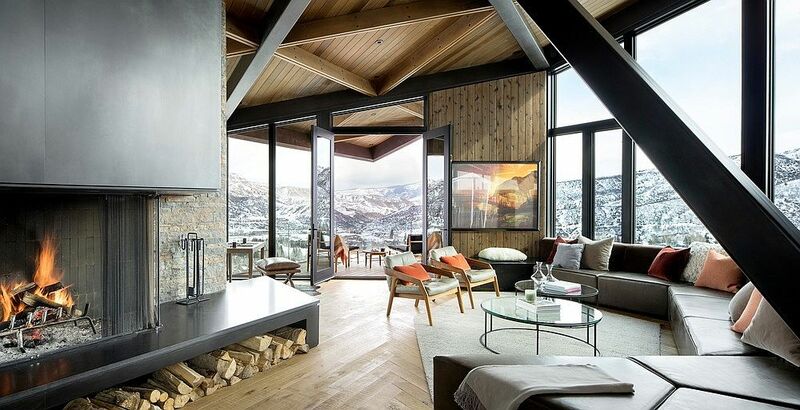 Snow-covered peaks, hot chocolate (or a drink of your choice) in hand and the roaring fireplace next to you makes for a setting that provides one with memories of a lifetime. 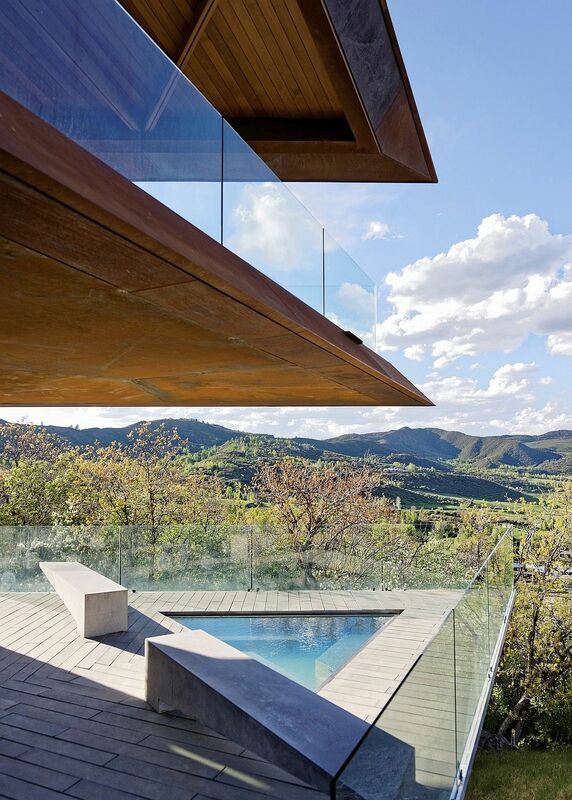 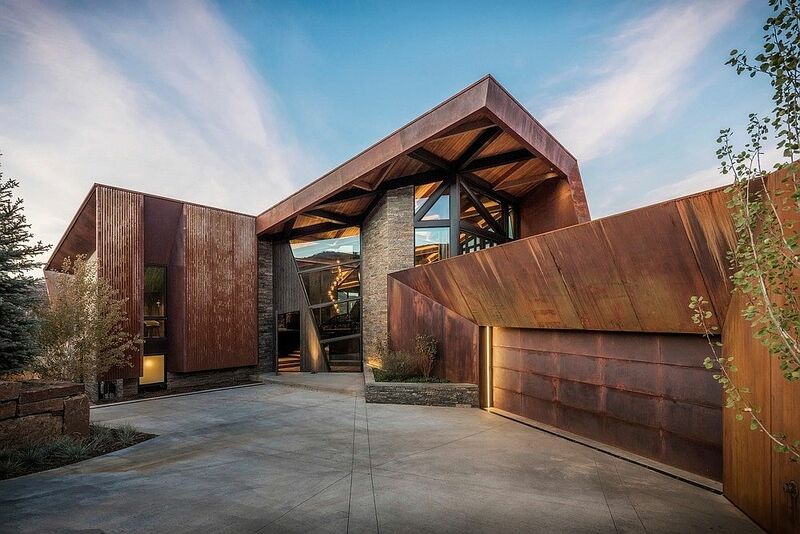 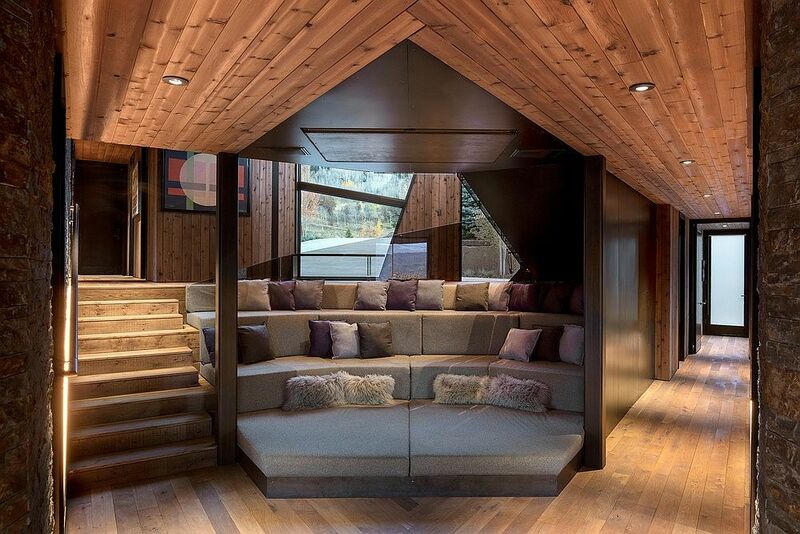 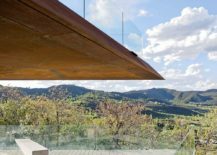 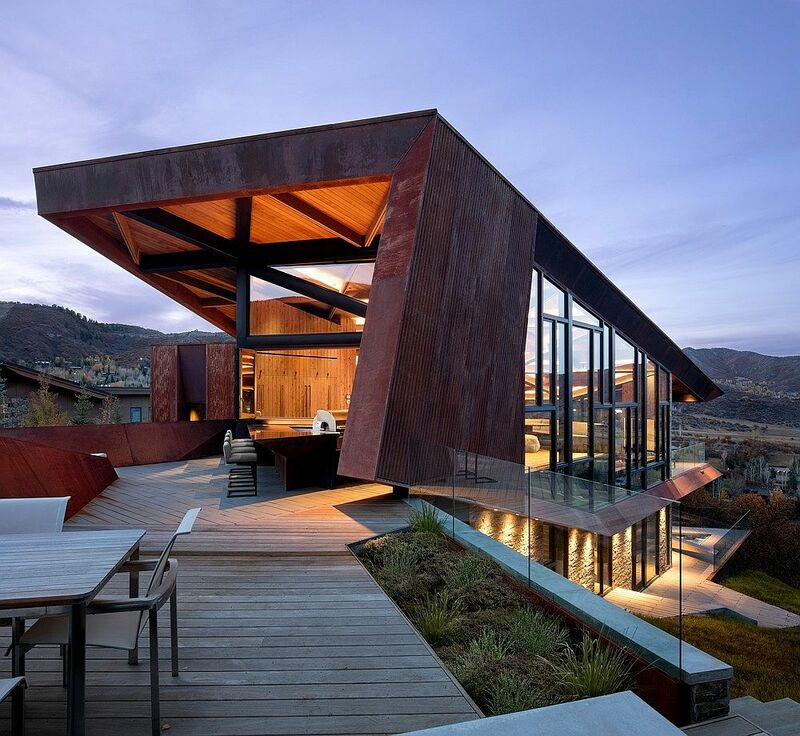 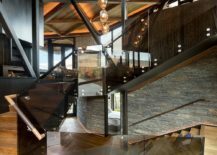 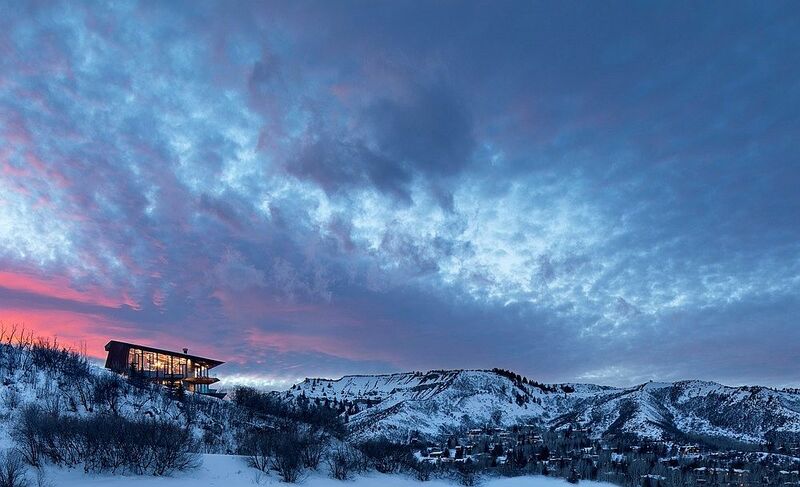 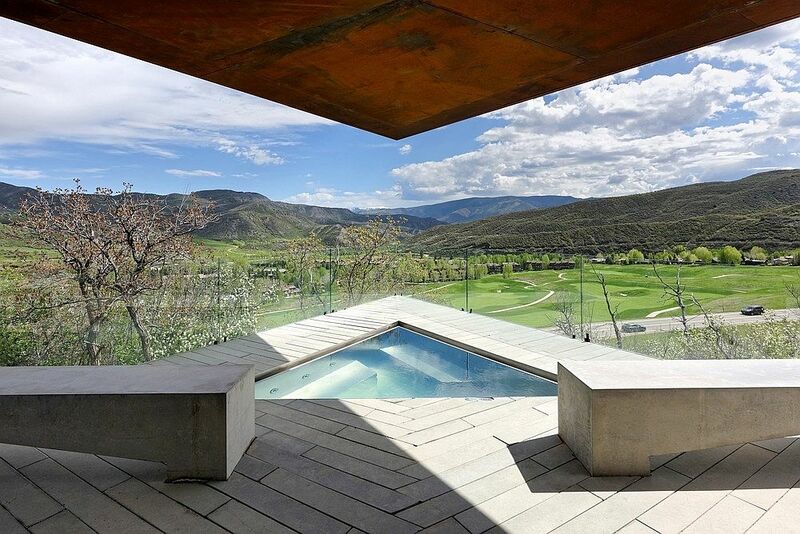 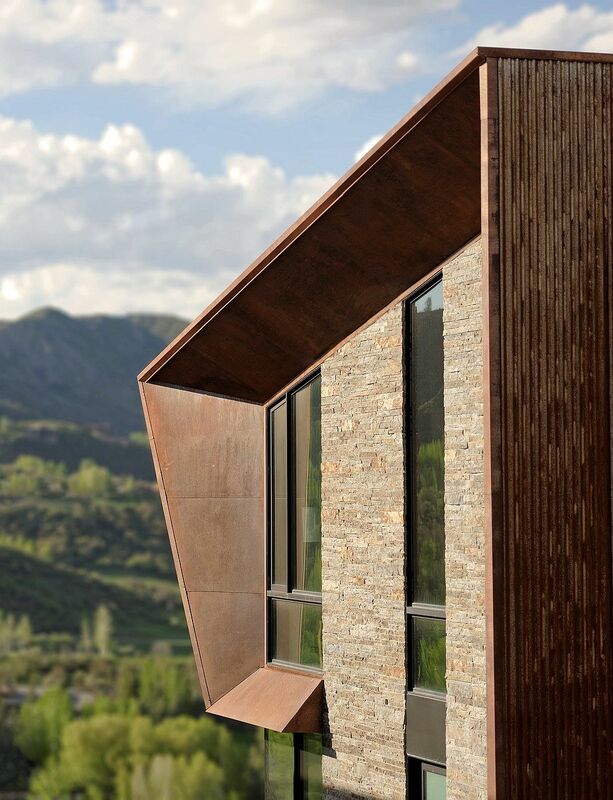 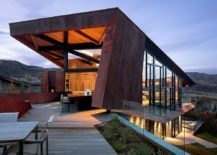 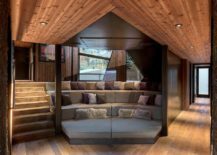 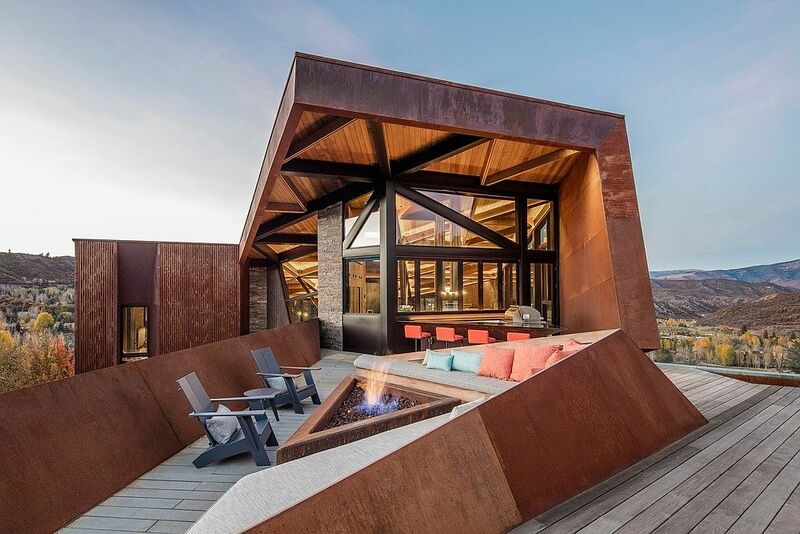 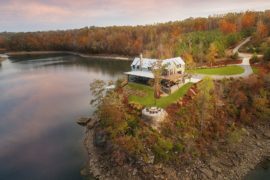 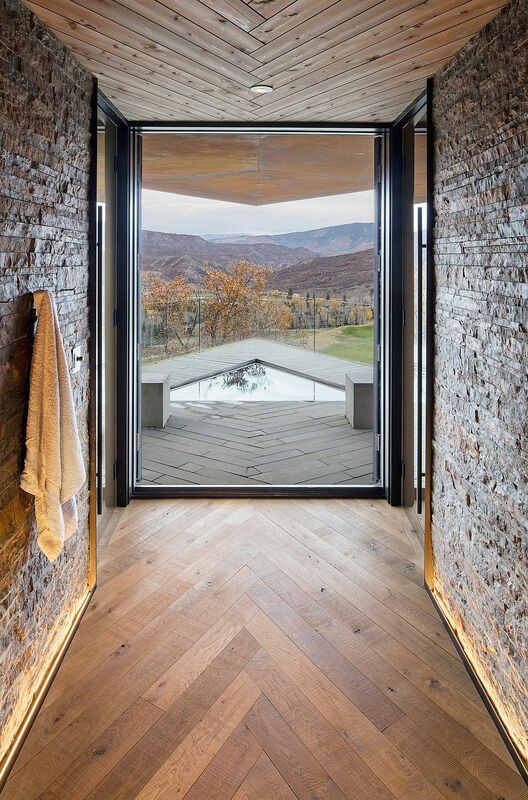 Despite its unmistakable contemporary exterior and geometric façade, the Owl Creek Residence is at its heart a home in the mountains that combines comfort, mesmerizing views and a vantage point unlike any other! 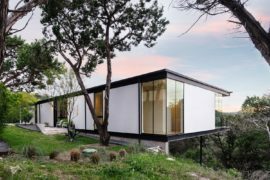 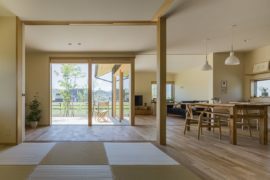 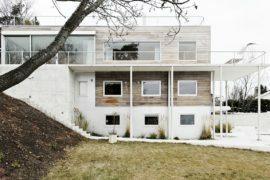 Designed by Skylab, this gorgeous modern house was designed for two families and with ample space in the common areas; a holiday here is something you will be hard-pressed to forget. 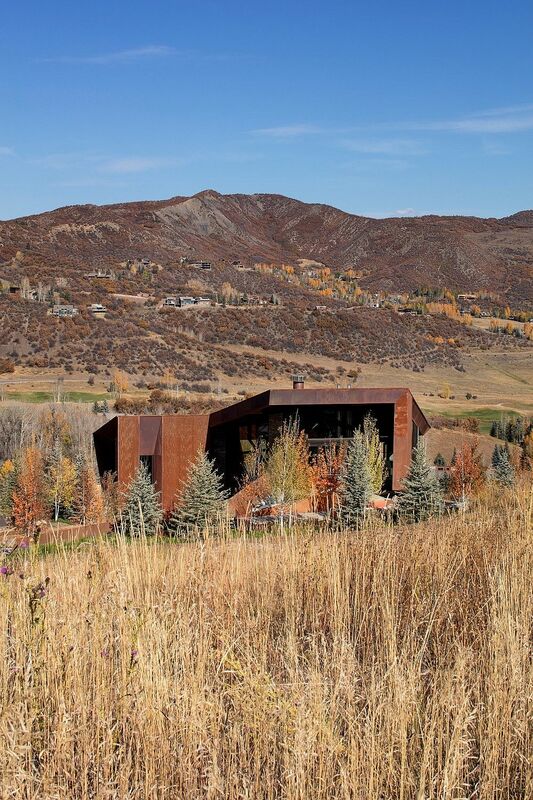 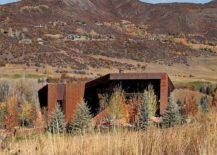 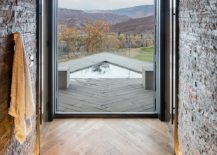 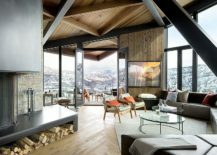 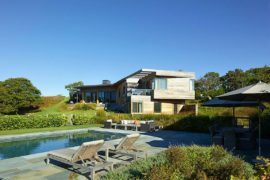 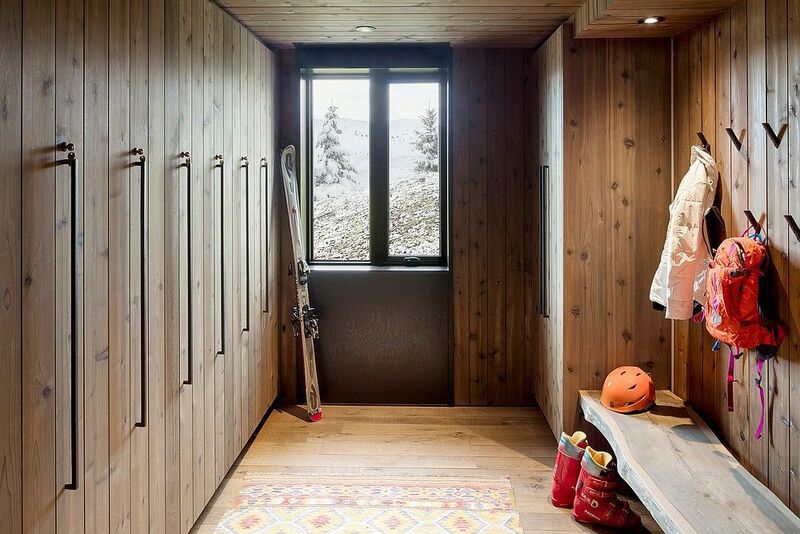 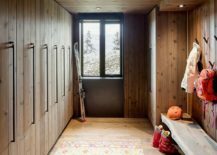 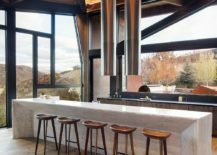 The home offers a spectacular view of Snowmass Mountain and the Rocky Mountains landscape even as changing seasons bring different colors, sights and sounds. 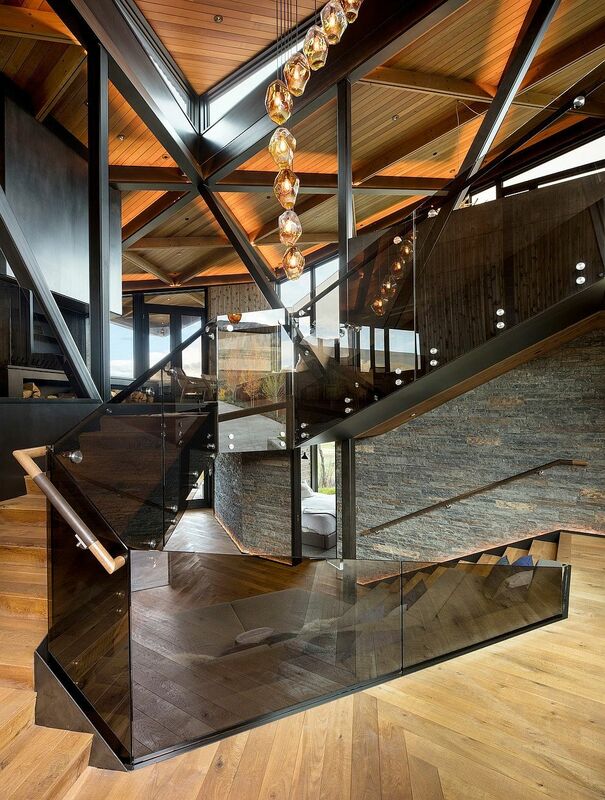 It is nature that takes center-stage here with the outdoors being brought inside with extensive use of glass. 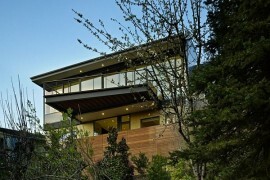 This also ushers in ample natural light; something that the owners were pretty keen on.